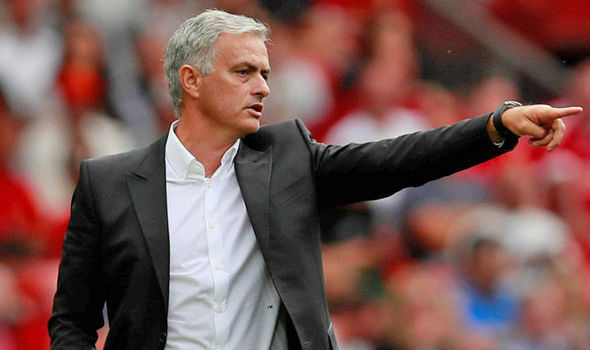 Manchester United manager Jose Mourinho is reportedly keen to receive the backing from the club’s hierarchy when the transfer window reopens in a couple of months’ time. The 55-year-old had been desperate to reinforce the heart of the defence during the summer but the club could not pursue any of their preferred targets before the transfer deadline. United have since conceded 17 goals from just 10 Premier League matches and this appears to have increased the Portuguese’s urgency to strengthen the squad when the transfer window reopens. According to The Manchester Evening News, Mourinho is keen to reinforce the backline during the winter period with a central defender being one of the main priorities for the club. Meanwhile, the Portuguese tactician is also understood to have a concern with the striking options with Romelu Lukaku misfiring and the club could move for a potential competitor in January. Mourinho has not hidden his desire to pursue a centre-back in recent months and he most recently watched the performance of Nikola Milenkovic from the stands when the Serbian was on international duty. Meanwhile, coming to the options upfront, Juventus’ Mario Mandzukic was among the prime options for Mourinho during the summer and the Croatian could return to the radar, given he has the physical presence similar to Lukaku.